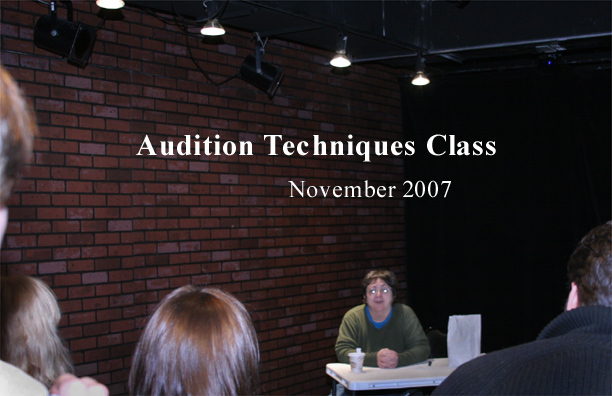 On November 12, Barbara Kahn led her much demanded Audition Techniques class, starting with part-ONE: Audition Etiquette. A future part-TWO will include practical demonstrations of reading, deportment, and other hints - using the company as "volunteers." 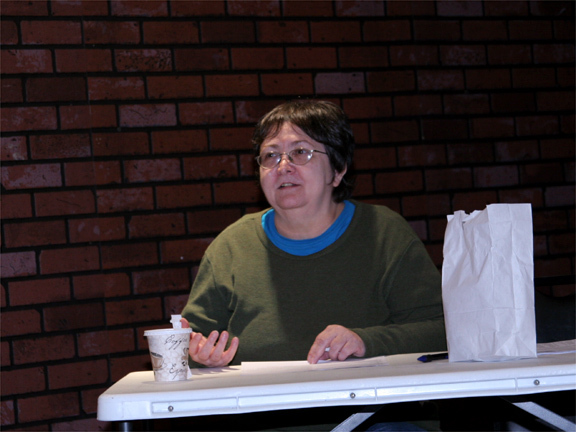 On the drawing board is a special class on Technical Stage Management - This will cover communication skills, job interviewing, practical techniques, and a profiling of the entire production management hierarchy. This is a must for anyone in Stage Management, Production Management, Designers, or anyone who has to communicate with the above (can you say "directors"). This is a TWO-and 1/2 HOUR class, reserved only. FREE to paid-up company members, $50 all others.